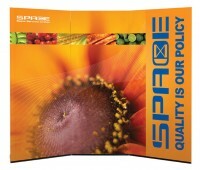 Banner walls are made by combining multiple retractable banner stands or portable banner stands into a single, larger display. 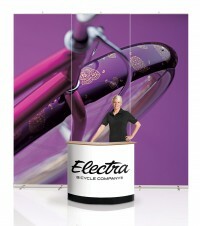 While this is a popular use of banner stands for trade shows, banner walls are also popular as photo or press conference backdrops, at movie theaters, conventions, or anywhere a large exhibit or backdrop is needed. 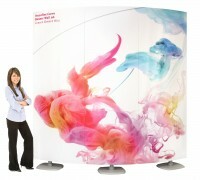 One of the main advantages to a banner wall is that they are more cost effective to ship and easier to set up than displays with a single large graphic. 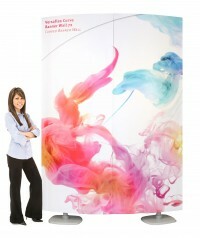 A typical 8' tall and 10' wide display that was created with a single graphic means a rolled 8' tube must be transported, which is expensive and inconvenient, not to mention that the banner is likely to get damaged more easily. 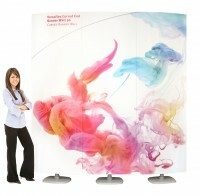 With a banner wall, the same size graphic can be created with three stands that join together to make the same size image, but pack down smaller and fit in a single case for shipping. 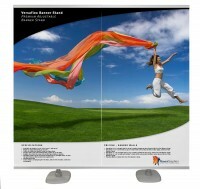 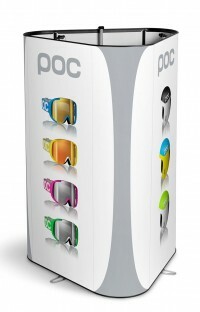 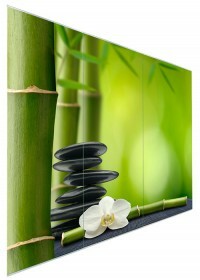 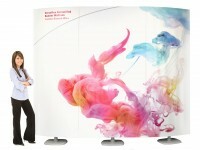 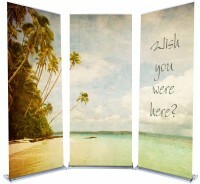 The ensures the graphics are protected and lowers the shipping cost while making the set up easier and more convenient. 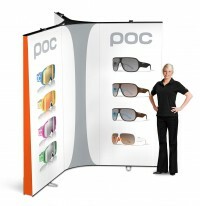 Banner walls are a cost effective way to create a back wall display, but they are also more versatile than a traditional trade show display in that each banner stand can also be used separately. 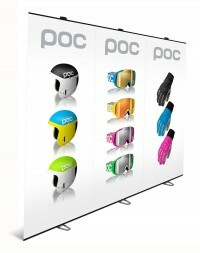 If the banners are designed with this use in mind, it's possible to use the individual stands on their own at smaller shows or for showroom or lobby display when not in use at a trade show. 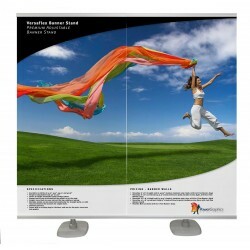 Of course, it's also possible to have separate banners for this type of use and change the banners when the stands are to be used as a wall, but either way, this type of versatility is not possible with most backdrop displays. 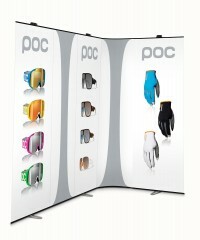 Some of banner stands in this category were designed specifically to be used as banner walls, while others are regular retractable or portable banner stands that we have selected because they work particularly well together in a banner wall configuration. 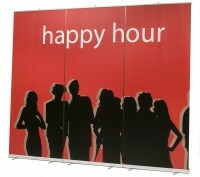 Even though any retractable banner stands can be placed together to make a banner wall, some of them leave too large a gap between the banners, while others are more difficult to line up evenly. 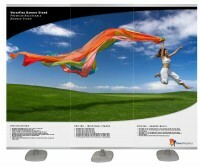 Because of this, we have only included the models that we felt worked best in each price range. 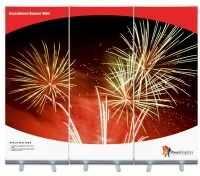 As always, we're always happy to help you select an appropriate display for your needs, so feel free to give us a call or contact us via e-mail or live chat if you need any assistance.